West Point Association of Graduates | LTC(R) Austin '87 Releases "The Student's Comprehensive Guide For College & Other Life Lessons"
LTC(R) Austin '87 Releases "The Student's Comprehensive Guide For College & Other Life Lessons"
LTC(R) Valarie R. Austin has announced the publication of "The Student's Comprehensive Guide For College & Other Life Lessons" by Vauboix Publishing LLC in September 2018. Valarie's debut non-fiction book draws on her experience as a college graduate who has acquired four degrees from four different schools namely Montgomery College-Rockville, MD, the University of Maryland-College Park (her most recent), the United States Military Academy, and the University of Wisconsin-Milwaukee. With an associate's degree, two bachelor's degrees, and a master's degree, Valarie has unique insights into staying and graduating from college. 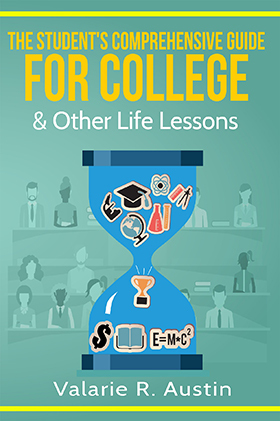 In her book, she gives tough practical advice to guide high school and college bound students about the discipline, skills and knowledge necessary to successfully graduate from college on time. Valarie also offers why earning a college degree is important for young adults specifically to gain higher earnings, better career opportunities/satisfaction, greater problem-solving abilities, and a better standard of living. The paperback and Kindle books are available on Amazon. LTC Austin is a member of the Maryland Writers Association, Montgomery County Chapter.